In this Zennoa review l am going to share with you what it is all about, Zennoa’s compensation plan and finally whether it is a pyramid scheme, scam or legit multi-level marketing company. Maybe, you where invited to join this company by a friend or or your have already swallowed the hook … read on. l was invited to join Zennoa which is still in the pre-launch stage so that l can ‘lock in my spot’ at the top of the pyramid before 31 July, 2016. Zennoa was founded by the owners of another supplement based MLM called Morinda which sells Tahiti Noni line of products. The name is translated to mean ‘freedom’ and ‘peace’ which is now being used as a selling point for the program. It is being launched in America and Japan at the moment. One wonders why the purported health products Zennoa is selling are not being sold through their established Morinda company? This is common though in MLM, that when fortunes are falling the owners create another ‘new’ jaw breaking opportunity which no-one can afford to miss. Either, it is for the sake of branding, increasing the subscription amounts or just a case of spreading risk…. It is worth noting that, the company instead of using the term ‘distributor’ opted for ‘affiliate’. The compensation plan below, however gives a different picture all together. Affiliates get commissions from their down-line’s sales based on ranks and fast start bonuses as stipulated in the Compensation Plan. When you visit the website, you need to sign up as a Zennoa Independent Affiliate and complete the form provided which include your payment details. If no en-roller referred you to the opportunity, then you are automatically allocated a sponsor. Your application will be assessed and you will get approval to join the MLM. Once enrolled, you will earn commissions for selling the products and from subscriptions by new people that you will have recruited into the program. As usual, there will be team bonuses too. As usual, the supplement based products are said to contain ingredients from some exotic place of some sort. For instance, Kyani supplements are said to be made from ‘imported berries’ from Alska. In this case, they are said to be from an ‘exclusive’ island called Haiti. 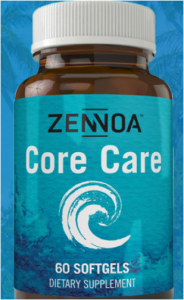 Zennoa Care – 60 Soft Gels Dietary Supplements. This is the company’s main product and boasts of having omega fatty acids which are said to be important for the whole body from ‘head to toe’ including the skin. Just like any other MLM based product, omega fatty acids which have already been proven by science are targeted as the main ingredient in the supplement. Since supplements, unlike medicament are not subject to testing and approval by regulating bodies such as Food and Drug Administration (FDA) companies can get away with any claims. No one knows if the companies are even adding the ‘omega fatty acids’ to the products, and if they did is it in the right quantities. People just join such companies just to make money off the overpriced supplements or from subscriptions from people then recruited into the organisation. Others, are coerced by friends, relatives and workmates. As usual, when you visit most MLM based websites, prices are conveniently inaccessible unless you join or sign in. Affiliates or Preferred Members pay a non-refundable $59.95 application fee to join the program. When l clicked on the sign up tab, it led to a page where l was supposed to enter my payment details. There is a product called Zennoa foundation pro, going for $299 which went up to $335.98 after shipping and sales tax were added. There were no any further details. Amounts for enrollment fee and Core Care 6 bottles were not stipulated. Maybe they are part of the ZFP. The person who wanted to recruit me informed me that 2 of the bottles were for my personal consumption and the other 4, l can give out as samples. Unfortunately, l don’t buy ‘wellness’ in a bottle… lol. Annual renewal fee – is payed each calendar year if you want to remain an active member. Zennoa Training and Marketing Materials. 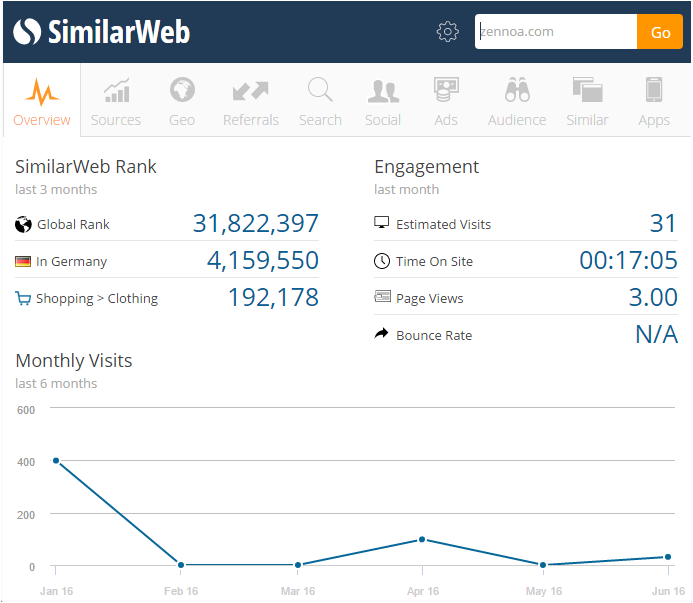 The marketing materials are still to prove their usefulness given the low traffic to the main website. Affiliate Kit – is said to be optional in certain regions. It contains promotional materials such as pamphlets, business cards and so forth. You will not earn commissions from selling the kit. Replicated website – you will have a sub-domain allocated to you to which you will refer your customers. Unfortunately search engines hate such websites and you will never get any free traffic to your website. You need to use other ways to generate traffic to the website including sharing the link with your loved ones often labeled soft and easy targets. There are various ways to earn when you join this ‘affiliate’ program. You need to purchase products each year to remain active. It is described as a ‘pipe line based compensation plan‘ without balancing of legs as in the common binary based comp plans. There are claims that you can have both America and Japanese affiliate as your down-lines. How a Japanese will train their American recruits given the language barriers is beyond my comprehension. Retail Sales Bonus – profit earned through mark up on products. Customer Acquisition Bonus – $10 paid when customers redeems a product discount coupon which you will have given them as an incentive. Team & Personal Customer – commissions on both team and personal sales volumes which surpass the stated volumes. This includes discount seeking customers who opt for the cheaper auto shipping program compared to the inflated retail prices. Launch Bonus – when sell your first foundation packs to four affiliates in your first month of enrollment. Team Earnings – based on combines sales volumes. Coaching Bonuses – rank based bonuses. ZenMaster Leadership Pools – based on earnings which are paid as shares. Structure Bonuses – based on number of affiliates recruited and their levels. The compensation plan is typical of a MLM company with those at the top earning more than their down-line. It seems as if labeling members as affiliates is a way of flying under the radar. Imagine, Amazon affiliate program allowing you to recruit others to do the leg work while you reap commissions. There are many ranks which are tied to sales and recruitment effort once you become a a ‘qualified affiliate’. They are mainly based on Commissionable Volume (CV) per month. Team Ranks – there are 3 ranks based on team sales volume. Team 500, 1000 and 2500. Professional Ranks – Pro 5K, 10K and 25K (You need to maintain the level for 2 consecutive months in-order to qualify for bonuses. Executive Ranks – Silver (50,000 TBV) , Gold (100,000 CV) and Platinum (250,000 CV). Maintain rank for 3 consecutive months to qualify. Boardroom Ranks – Ruby (500,000 CV), Sapphire (750,000 CV) and Emerald (1, 000,000 CV) . You need to maintain the rank for 4 consecutive months to qualify. Lifestyle Ranks – Diamond (1,500,000 CV), Blue Diamond (3,000,000 CV ) and Crown Diamond (5,000,000 CV) You must maintain the rank for 5 consecutive months to qualify. You can read the detailed Zennoa Compensation Plan PDF. The compensation plan looks enticing, BUT they are just figures on paper at the moment and it will take some time before anyone reaches higher ranks. For, now an analysis of the traffic points to a slow start. The company is still to get some meaningful traction. Is Zennoa a Pyramid Scheme or a Scam? Although in the end, the compensation structure resemble a pyramid structure it is not a scheme at least for now. Remember, if more sales are made to ‘affiliates’ than ‘outside customers’ it will be flagged as a pyramid scheme. Since the company is in the pre-launch stage, there are no complaints about it being a scam or testimonials on the efficacy of using the products. l attended one of the webinars on Google hangouts and it was all hype BS. Each statement ended with ‘if you recruit, you will make money. Its that simple‘. Surely, recruiting people to buy a ‘new’ overpriced supplement which they have never heard of is not that easy. Soon, review websites will get wind of this opportunity and negative Zennoa reviews will start to pop up in search engines. These will make it extremely difficult to recruit prospects especially for newbies. Well, Zennoa founders have experience in running similar MLM based businesses. While, creating a ‘new’ company can be a sign of growth, it can also point to the collapse of previous entities. If you are interested in MLMs in the pre-launch stage, maybe it is time to jump in hoping and praying that the launch will successfully take off. Remember, the weight loss niche has break neck competition despite it being a multi-billion dollar industry. Trying to convince people to sign up for a new ‘weight loss product’ that has no documented proof that it works can be a mammoth task. Share your opinion or experience with Zennoa in the commentary box below? l have initiated the dialogue. I just go off an introductory call and was wondering if it was going to be hundreds of dollars to join and you answered my questions. I went to the site and couldnt get any info unless I gave at least my email. I hate websites like that. You are most welcome Jay. Really good review of what has actually been stated by the company and the excisting members of the current pipeline. No one really knows yet but happy so far for the consistency of information thus far. Let’s wait and see how long it will be at the pre-launch stage. Traffic to the website is now at 2 700 per month and most viewed Zennoa video on YouTube has got 732 views. It is suppose to be in Feb 2017 now and I am confused because you said it was suppose to be in July 2016 and I signded up this fall. What happened tot he laugh? That is the million dollar question, why are they not selling these products under Morinda? They want to take advantage of the hype of a ‘new product launch’. People quickly resign from one MLM to position themselves up the pyramid in a so called new program. Please consider doing your homework, for your sake, before you embarrass yourself and mislead others with false claims. John Wadsworth was a co-founder of Morinda Holdings in the 1990’s. He has worked as one of its top executives for roughly two decades – so he is not a serial MLM creator. Wadsworth recently left Morinda due to a series of disagreements over a change in the direction of the company. After resigning as president of Morinda, Wadsworth decided to form a new company, Zennoa. Morinda, in turn, changed leadership and continues to do business, so your friends are perfectly capable of staying with that company. There are just no grounds for accusing Zennoa of being a “scam.” First, MLM’s are legal business models, not to be confused with pyramid schemes. Second, it’s just ridiculous to suggest, as “Scam Busters” does, that Wadsworth left Morinda Holdings in order to position himself “up the pyramid.” Wadsworth was already up the pyramid: he was president of Morinda Holdings. Now, if you don’t like the MLM business structure, that’s fine. But please don’t accuse companies of fraudulent or illegal activity without real grounds. Well said. This review is full of misinformation. It sounds like it was written by a nervous Morinda IPC (distributor). Lol..Will be writing a review of Morinda soon. Go onto the site and see for yourself how great the 3 products are! I have many chiropractors, and other professionals who understand quality and effectiveness. These people dont put their lively hoods on the line Without doing their homework! Knowledge is imparitive fir making sound decisions! Yes anyone can learn this … helps others … stay home with their children and bring them up well and healthy! Sounds like a win win to me. from what i understand it is not weight loss. You evidently have a “hard on” for Direct Sales companies, as is proven in the misinformation that you have written. Morida’s Noni comes from Tahiti, not Haiti. Why does it matter where John Wadsworth and Kerry Asay were before? It’s none of your concern. As for it being a “pyramid” scheme or not, if you, I or anyone works a job in corporate America, we are involved in a pyramid. Thanks George for chipping in. 1) l don’t call them ‘Direct Sales companies’, l call them Multi-Level Marketing companies which encourage distributors to use Network Marketing strategies to annoy their loved ones, co-workers and neighbors. They force you to hard sell useless products to your relatives which they call soft targets just for the commission. 2 – ‘…proven in the misinformation..’ Thank you for pointing out the typo, it will be duly corrected. However, if you could only pick on a typo and call it ‘misinformation’ you are confirming that the rest of the review is spot on. l take it as a complement. 3 – ‘Why does it matter where John Wadsworth and Kerry Asay were before? It surely does not matter to you because you know where they have been. However, to anyone who wants to ‘invest’ their money into ANY business it matters. Can you imagine how may people joined MMM Global not knowing that the owner, Mavrodi was convicted of fraud in April 2007 for running a pyramid scheme? Now the pyramid scheme has imploded and has been banned in most countries. Surely knowing where Mavrodi was before could have saved a few souls. Of course, l know you don’t care about the people who loose money in such schemes as long as YOU are at the top of the pyramid. 4 – l don’t know about how they do things in Corporate America. What l know is, in the ‘corporate world’, people at the top get there because of merit. Either through experience and/or academic accomplishments. Now, what is wrong with rewarding hard working people in any organisation or in life? In any case they NEVER get closed because they are also pyramid schemes. So how do you get to the top of the ‘pyramid’ in MLM? You guessed it right; you only need to be the first to poke your nose into the scheme (no matter how foolish or incompetent you are) and others you bring in will pay you and do the leg work for you (no matter how learned or competent they are). What a great way of rewarding school drop outs who interpret a typo as ‘misinformation’? I am excited about The marketing plan that has been revised to be more than fair and very complementary to the products that we are marketing . New companies cant have great websites since limited products to start! As far as Working with in Morinda After 21 years with that company We became very concerned about the mission they were on compared to the one i was on and my team! Yes team…. we dont operate by being an employee… i prefer to own my own business and after great success when working with Health Care products that are in alignment to my lifestyle i can only give zennoa a 2 thumps up on honesty integrity and marketability! Check out our new website we only have 3 main core products but in my world of simplicity thats all i need. Zennoa a perfect name for this company! I am excited and i like my customers improved health and my more them tripled income that I left Morinda for. Btw: any MD that I use for my own health care needs…. likes my reports and uses the products for their own personal use! Interested in real results and knowledgeable MDs who atre willing to admit Giod has created some really great awesome superfoods that have medicinal benefits! There are alot of great companies out there like ours, very successful people are involved, as with any company private or public we ihave tge freedom to join or not, if not interested say No and i move on. Open mindedness keeps us all in freedom of choices! I love what I do and I hope you all will find what you love to do in life as well. Being in service to others is the best reward anyone can receive! I personally know John Wadsworth. You will not find a more honest or genuine person anywhere. John served a 3 year service mission for the LDS church and while he was away the 2008 crisis hit and Morinda/Tahitian Noni tanked. Eventually, there was a falling out and John and Kim left the company. There is a good reason why Zennoa already has over 2000 affiliates in it’s first 3 months as a company. Of course they aren’t going to have all the bells and whistles of an established company. It is a literal startup of 3 months now. The product is legit. It is not a miracle supplement nor is it claimed to be. It is merely a healthy blend of the Omega Oils as well as Noni. You can look up exactly what is in it on the site. The product was just shipped to affiliates a couple weeks ago. People trust John Wadsworth. People are dropping Morinda, a company they have been with for years and are making a good living, just to follow John. This will be a successful company. If you knew John, you would agree. Thank you Josh for your contribution and explanation as to why John is not promoting Zennoa products under a new banner. So basically, Zennoa is just siphoning people from Morinda? It is common though in the MLM sphere for instance, Plannet Marketing is stealing people from Paycation. People know that in MLM being at the top matters, so they jump onto any new opportunity at the earliest convenience. Feel free to share a link to Zennoa’s income discloser page so that we can check on the numbers you are claiming are already in. Unfortunately, no matter how ‘good’ John is, if he picks on the wrong business model it doesn’t matter. It is incorrect to say they are “stealing” people. I don’t know where you get that. Yes of course people will jump on an opportunity if they deem it worthy to get involved in..No one is forced to join a company. Thanks Josh for your well thought contribution. If you don’t take the ‘stealing’ people comment out of its context you will realize that it was in response to one of the Zennoa members who said that is what is happening to Morinda distributors. l never claimed to be an ‘expert’ in anyway and l don’t need to be one in-order to write reviews on my blog. In any case, you can only show that a review is ‘inaccurate’ by pointing out where the author went wrong. Why would someone jump ‘on some joe shmoe phone call’ when affiliates are all over the web searching for recruits? Are you saying these recruiters are lying to us about what Zennoa is all about? Why are you inviting people to join a company with an ‘incomplete website? No recruitment – No reviews! I have known John for over 20 years, I work with many medical professionals, and they use and understand NONI, these same professionals know the importance of the OMEGA OILS, and John and his team of friends and leaders in this field, has put together a perfect blend of them, and people are seeing improvements in skin, hair, nails, eyesight, and better joint movement without pain! better digestion. There is a reason why MDs recommend Omega fats…body needs them to function properly. BRAIN FUNCTION is my first Notice of it working, I use and take NONI everyday, I know that without JOHN Morinda never would have existed. Morinda was also written up years ago by sites such as Scam…. yet they went on to become ALMOST a billion dollar a year company ,5 billion within 10 years, until someone above nailed it on the head,,,, when john needed to go on his 3 year mission…..ALL at Morinda missed JOHNS MISSION and VISION…and I felt they lost focus, and business started to falter! When John came back, the mess was already created( in my opinion and what I experienced and saw happen) and those of us who are about teaching people how to take control of their health, and well being, well I couldn’t support Morinda’s direction and vision anymore, I continued to use the NONI product ( like 4 cases of it a month for my famly alone)! I was always grateful that by sharing it and teaching the benefits to others, I was rewarded with a healthy income! so when people compare corp. world to MLMs, esp. ones that help people with health concerns, and all validated by the way!! It makes no sense to me, because of Morinda’s noni, I learned so much about real HEALTH CARE from medical professionals, because of the NONI, we use it to save life– REALLY to save people from having their limbs taken off, supporting them thru chemo. treatments, and protecting them from burns recd from radiation treatments. When we talk about trashing new companies, without knowing the details, all that is being talked about above is just not true! there is no 59.00 sign up fee, all the products up to this point are at wholesale pricing, one doesn’t have to give a SS number yet….its pre launch, and I was around when Morinda pre launched as well. I was disheartened when John was released from Morinda, and yes I FOLLOW JOHN because he is gifted when it comes to being a GREAT Food scientist, but also finding the gifts from mother nature herself, the products that modern day science try to take apart so that they can make a drug out of them! patent them, and sell them for such a ridiculous price so that insurance companies, hospitals and the drug companies themselves MAKE A KILLING FINANCIALLY ON THEM. does anyone realize how many young adults have died needlessly from PRESCIPT. DRUG OVERDOSING? MLM companies like Morinda, Like Zennoa (which has nothing to do with Morinda…the owners there have nothing to do with zennoa, and like wise, except they let go a very important piece of their success, the founder who actually made Morinda possible. now when I go back to 20 years ago, because of Morinda and the Noni proudct I was able to stay home with my children my family, and help them grow into beautiful human beings, without the stress of having to use child care programs, I was able to put them thru a school system, I felt was really important for their well being, all because of Morinda and NONI, so yes I sadly left Morinda for ZENNOA because of MR. JOHN WADSWORTH, the program, the rewards system for the affiliate’s and customers, is NEW TO THE MARKET PLACE and many are having a hard time understanding it, why? because it is set up to HELP ALL PEOPLE, customers, people with no start up money….and YES any business owner will attest to the expense of starting up their own company, if I were to have opened a HEALTH CLINIC OR HEALTH FOOD STORE….no way would it have cost me the cost of the product itself…wholesale prices, nor the over head of building, employees, insurances, and 80 hour work weeks, my over head for Morinda, Zennoa, are the use of the products themselves, my time, telephone and computer system I already had in place. Which makes this opportunity being offered to me and others around the world, a complete NO BRAINER to be part of ! NOW if this gets posted, and understood….It will have been worth my while to be helping people to understand its not easy running a business…its not easy to bring NEW THINGS to the market place, its not easy for someone to wake up every weekday to an alarm, get themselves and children ready for the day, go to work, they go to school, or day care, they dont see mom or dad all day long, their own home neither do mom or dad…come home make dinner, do homework, laundry, deal with sickness, or mental illness issues, no time to look up the natural way to handle such things, go to MD take the drugs, get the side effects, get addictions, deal with that…and repeat this day in day out for 40 some odd years, oh that is right, 2 to 3 weeks of vacation is included in this package deal, so than after 40 or so years they retire with 1/2 the income sometimes less or they loose their TOP PAYING JOBS to a younger, less tired newly out of college individual full of inspiring new ideas, and that person with wisdom and knowledge and experience is let go, to go home and start looking for a job that pays 300 or 400,000.00 a year!!! and NOT BE DEPRESSED ABOUT THAT…and that new cycle begins!! I wonder weather or not, people should just try to take a walk in someone else’s shoes, before shooting down Networking companies that are legit! not all corporations in america that are legit, either btw! when people that spent over 20 years of their life…working and moving towards a vision….that was lost, but when new inspirations come around, with old friends helping to lift and move that vision forward again….WHY could that even be looked at for one minute as being negative. Doing homework…trying to start your own business up….if you have not tried that before….than I just ask that we think before we speak or judge others on something you may know nothing about. Lets learn to LIFT one another,….I hope Americans dont start treating each other like the CANDIDATES running for office…we are loosing the respect of other countries… can you imagine your parents or mentors acting like this in public! Its a disgrace to the position in which they are both running for.! I will continue to follow those who emulate what I am looking for in life… I hope and suggest that those of you who want to speak out on behalf of the public, do the same thing. Think, look listen, before trying to undo, someone else’s dream and vision! like I said above I hope this will get posted, hopefully helping others to learn to get a different view on life situations as they appear to be…before trying to undo a lot of hard work, and years of vision building! All to do good! If you dont like something, walk away from it, why try to tear it down, or join it and maybe you will see why hundreds and thousands and millions do, and like it well enough to stay for years at a time, just like in the corp world, where people work within those systems, for years and years on end. It works for them, but not for the millions of others, that want a different more relaxed way of life. Sustainable,and rewarding to be in control of your own destiny! No one loves you your family your friends as much as you do. no one cares as much, and you are expendable in huge corporations, when you work for yourself…. YOU are not replaceable! because your YOU! and You can effect so many more, when you put your time energy effort and love into something you believe in, something you earned, and something that you can leave to your family when you are no longer here to manage it! Now the corp. world cant and doesnt offer you that! have a blessed day. and please start to be mindful to others, especially when your site is here to offer truth, and make it easy of others to weed thru the good the bad and the ugly….not different, because Networking seems to be still considered as different….yet we all do it everyday, every minute of our lives. the telephones are a networking tool….how often do we use that! We learned how to share selves, stories, good things, bad things….quickly and efficiently because of telephones, imagine if we tried to sell that concept as different or a scam? Helping people with their health outside of the doctors./hospital offices, is different too, but not really I have been doing that my whole life….we need doctors, we need hospitals, but we need to teach others to not rely on them for HEALTH….they are for when your health is not in good shape or for accidents, emergency’s, not for learning how to stay healthy!